Meal prepping on Sundays has been my thing for a while. The week can get busy, off schedule and to have things pre-made in the fridge makes it easier to stay on an eating plan. My only problem with meal prepping is the level of difficulty. Figuring out the meals for the week, cooking all of the food, sorting food out and counting macros (if you do that). It gets tedious and often times that will be the first thing that makes meal prepping undesirable. 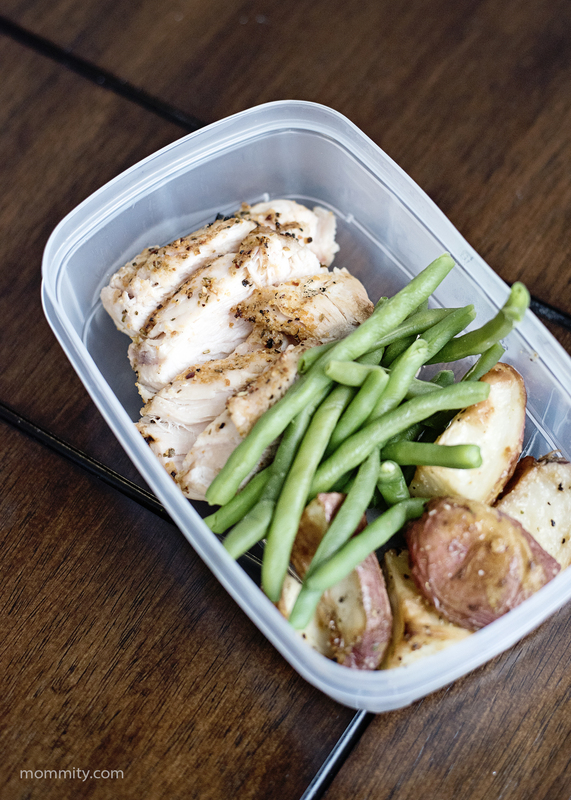 The key to making meal prepping a successful habit that will stick is to keep things easy! My meal prepping is pretty basic and a little unconventional, compared to what you might find on Pinterest. But, it’s the amount of prepping that is perfect for helping me stay successful during the week with my eating. 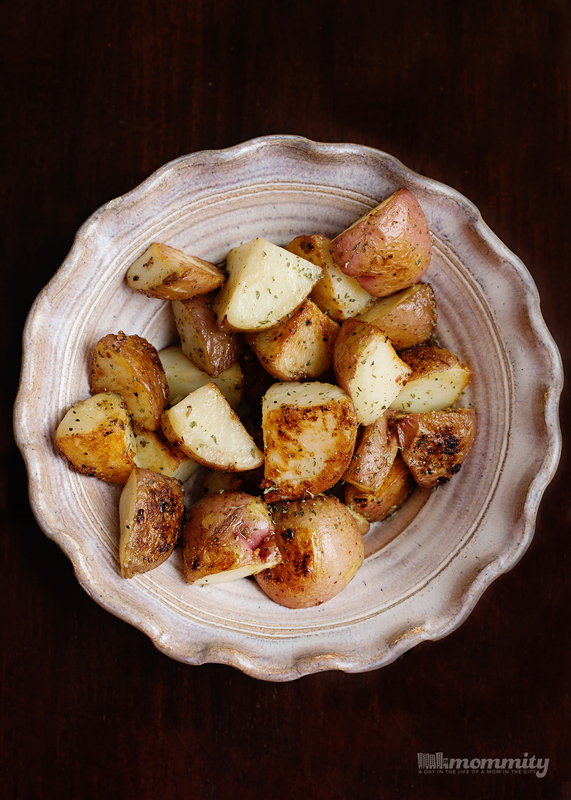 Potatoes – Roasted italian potatoes are my favorite to have on hand! You can add them to any meal and these potatoes are so delicious! Premier Protein Whey Protein Powder – Available in 2 delicious flavors – chocolate and vanilla. Premier Protein 30g bars – They come in seven delicious flavors, including Chocolate Peanut Butter, Yogurt Peanut Crunch, Peanut Butter Crunch, New Salted Caramel, Dark Chocolate Mint, New Dark Chocolate Almond and Double Chocolate Crunch. I cook up my meats and prep them in containers, rather than meals, because each day is different for me and I still prefer a little variety in my week. For instance, the ground turkey I cooked up this week was seasoned with taco seasoning. I LOVE taco meat to make taco salads. 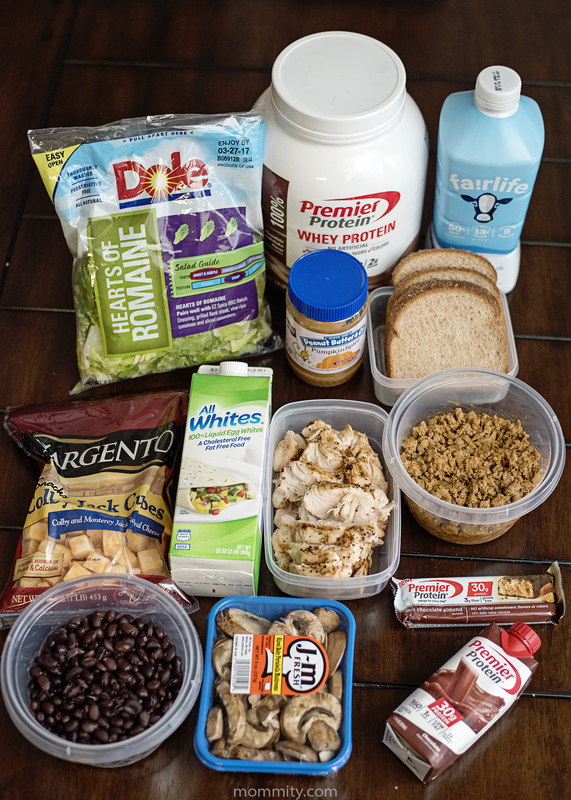 When you are following macros, this kind of meal can be so customizable. Throw some meat into a bowl, lettuce, cheese, beans, black olives, a few tortilla chips etc… Your meal can be as little or as big as you want, depending on your eating goal for the day. My favorite breakfast right now is scrambled egg whites. Again, this is totally customizable! I will often do 8 ounces of egg whites, 1 full egg, cooked mushrooms and cheese. If I need more carbs for this meal, you can take the breakfast scramble and wrap it up in a tortilla. So filling! On my super busy days, I will make some wheat toast with my favorite pumpkin spice peanut butter and grab a Premier Protein shake to take with me. I’m a snacker and like to keep it simple and portable. Premier Protein Shakes are packed with 30g of delicious protein to give you the good energy you need every day – they are low in fat, with 160 calories, only 1g of sugar, and 24 vitamins and minerals. Throw them in your purse or lunch bag and they are always there for a quick and filling snack. 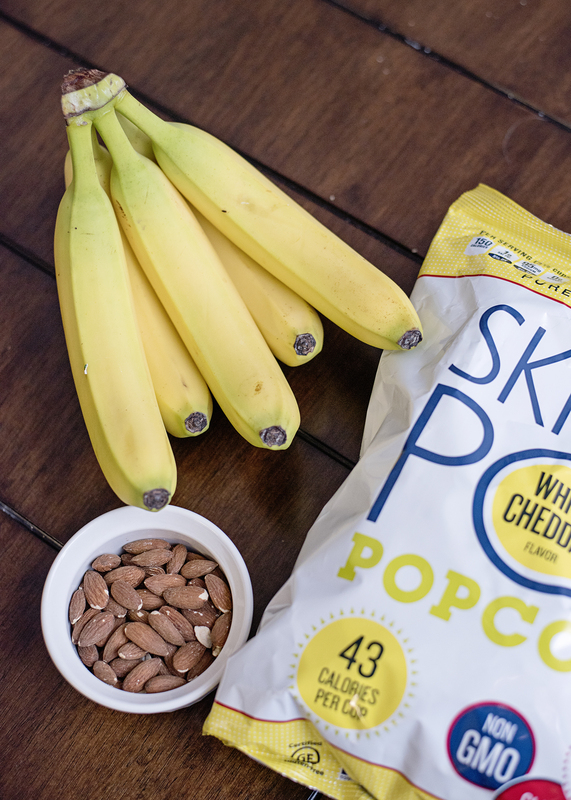 I also love to have my white cheddar popcorn, nuts and fruits around. All great snacks! We eat a lot of chicken around here and make many different meals with it. Throw it into a chicken dish or even sort it into a container with a vegetable and carb. When making a dish, cooking the chicken takes the longest amount of time. Having cooked chicken on hand cuts down on prep and cooking time, a win win in my book! 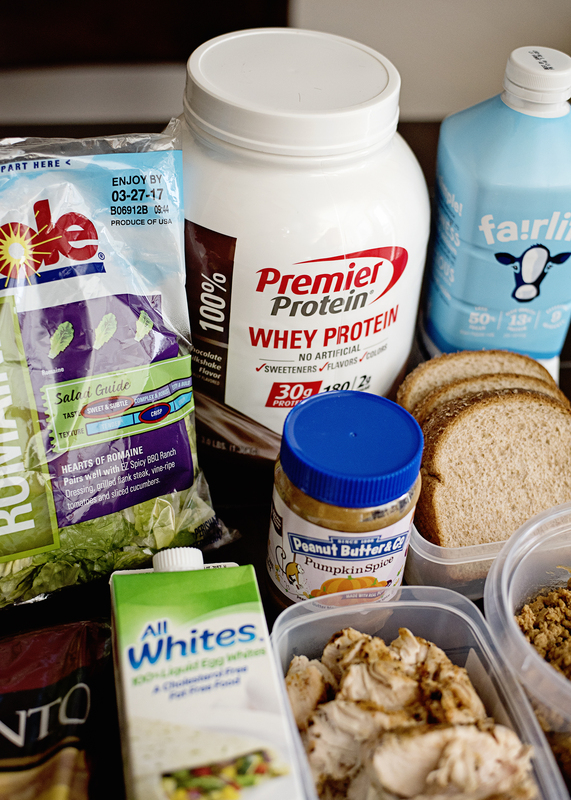 Meal prepping can be made easy and it all starts with the basics! 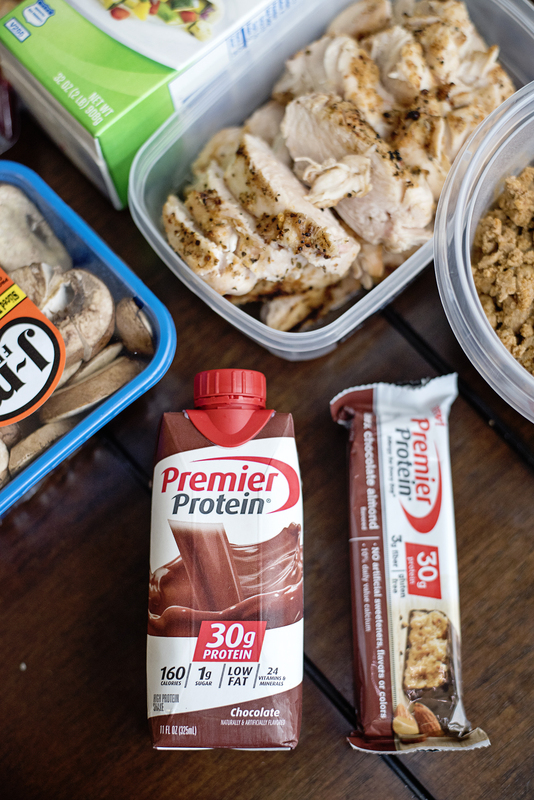 What are some of your favorite things to prep ahead for the week? Introducing the New Ready to Bake Gluten Free Dough Options from Pillsbury!